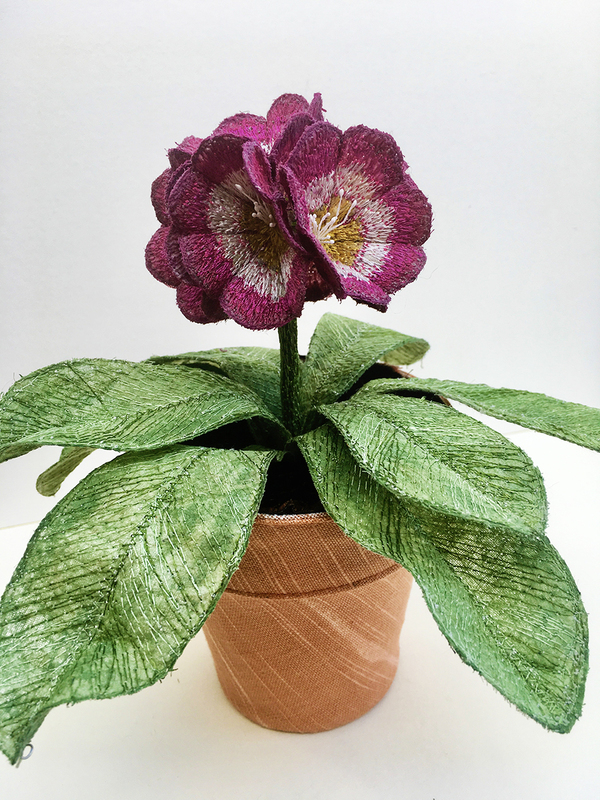 3D Auricula ‘pot plant’ textile sculpture constructed using machine and hand embroidery. Even the ‘soil’ is made from embroidered velvet, and the pot is also covered in fabric. 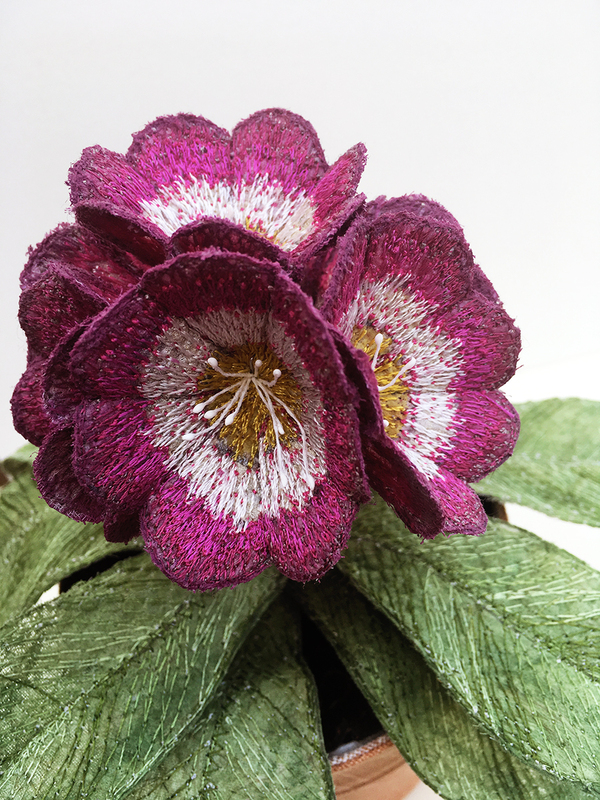 A beautiful decorative ornament, these Auriculas flower for very much longer than their botanical counterparts! They are approximately 20cm high.